Minimalist Parenting (2013) presents a new conception of parenting: fewer rules and more listening to your gut. 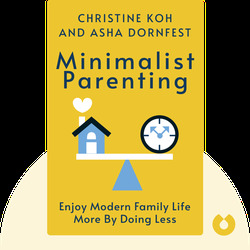 Rather than following the herd’s latest parenting trends, Christine Koh and Asha Dornfest present an approach to raising a family that puts your personal and family values at the heart of your life as a parent. Dr. Christine Koh is a psychologist specializing in behavioral and cognitive science. Koh writes blog posts and articles on lifestyle and parenting, and is herself an excellent example of how to strike a healthy balance between being both a parent and a professional. Minimalist Parenting is her first bestselling book. 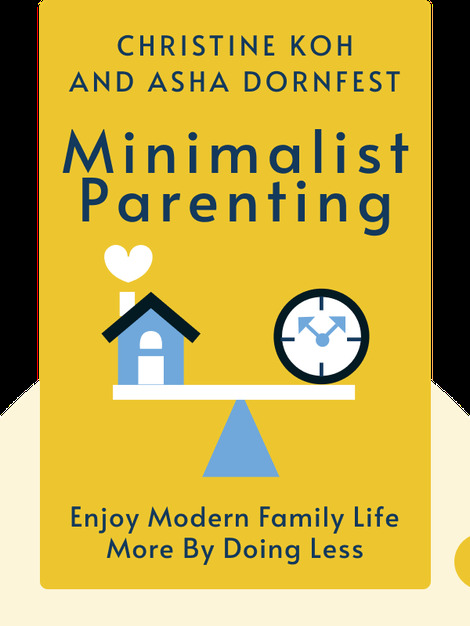 With over 20 years’ experience as a writer primarily in web publishing, Asha Dornfest now focuses on writing about parenting and maintaining her blog on the subject.